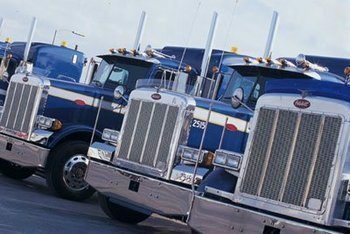 Whether you are starting a heavy haul truck driving career or looking for different trucking companies to work for, CDLjobs.com should be your first and only website to find the trucking jobs you need. We specialize in matching your experience with trucking companies that are looking for your specific expertise. Whether you want to be home overnight with your loved ones, need something over the road that will give you time away from home, or something in between, we have a database of truck driving jobs that is sure to help you find what you need. We recognize the sense of duty and dedication of truck drivers, and we work to assist you in finding the best trucking jobs for your qualifications and needs. You lose money if you are not driving, so it is important to find trucking jobs fast so you can get back to work and back to getting paid in a timely manner. We offer a website with an enhanced search function to find the best matched truck driving jobs for your qualifications. We help you look for new and better trucker jobs without having to leave the comforts of home. Plus, we give you the opportunity to apply for that job online. We match truck job seekers with truck driving companies quickly and efficiently. We offer a free online search for CDL jobs. Our database is extensive to match you with the best truck driving opportunities possible. Your application as a driver will go directly to the carriers you choose in real time. Then, it is up to the company to contact you. Our employees are dedicated to providing you with easy to use resources so you can spend more time on the road earning money and meeting the shipping needs of others, rather than wasting time on the computer seeking out heavy haul employment that suits your qualifications. We match you with a new employer depending on your wants, needs and qualifications. We bring the jobs to you, which will save you time and money. And we do it without any expense on your part. We connect you directly with employers who have the openings to put you to work. We are passionate about helping you find work in the trucking industry with quality trucking companies. We look forward to helping you find the job of your dreams, whether it is a change in the type of driving you do, a change of the company you work for, or a full-on career change. We know that it can be difficult finding heavy haul jobs out there, so we simply seek to make the job search easier.